I confess, I am not impressive with a bat or ball. Playing sports has never really been my thing. What I have discovered however, is that reading about sports is far more satisfying for me and if even if you don’t have a footy-mad under nine-year-old or even a book-crazy child, the following sports books may be just the ticket to igniting an appreciation for both, this Christmas. This is an alphabet picture book with a lovely difference – it appeals to footy fanatical boys and girls who love AFL but also enjoy the thrill and anticipation of team play. Superb alliteration and spirited illustrations take readers from A to Z, through a wet and wonderful day on the field. I love the exaggerated use of letter repetition used to reinforce and introduce new word sounds. Sensational squelchy fun. 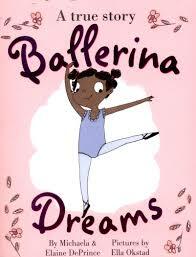 This is a gorgeous pretty in pink story about prima ballerina, Michaela DePrince. Abandoned in a Sierra Leone orphanage, then adopted by the DePrinces, it tells of Michaela’s rise from poverty and despair to attaining her dream of dancing on her toes and flying through the air after seeing a picture of a woman with pink shoes on her feet on a magazine cover. Poignant and gently inspirational. Highly recommended for those with a dancing dream of their own. Uncomplicated text and a sizzling storyline make these tales of friendship perfect for early primary readers. There are a few titles in this series about twin brothers, Thomas and Cooper, which will claim the attention of little lads but the premise of these identical troublemakers pulling pranks wherever and whenever they can has universal appeal. 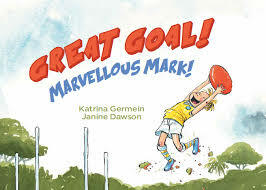 This is a cute and quirky, easy to read graphic chapter book for kids who like sport but do not always understand it or have a need to ‘live’ it, like Marcus Atkinson who is not good at sports but is in the AFL team. 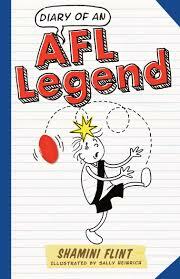 Great fun with lots of visual exchange for kids who prefer more comic-style reads. Other titles in this series focus on sports from swimming to track and field. These titles by award winning author Dr Anita Heiss are chock-a-block full of footy, sport, family and friends. 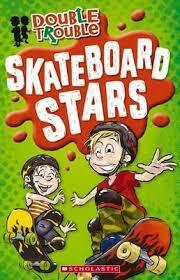 Fresh and breezy in delivery, each book spends time with different young characters whose love of rugby, skateboards and more become the centre of each story. Matty’s Comeback is the second book in the series and is perfect holiday material for budding readers. 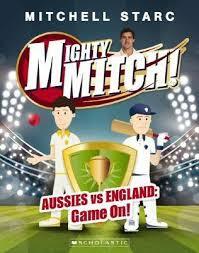 Being a Queenslander, this new kids’ book collaboration caused quite a stir for me. You don’t have to be a lover of league or a banana-bender to appreciate the humour and wacky storyline of this series suitable for nine-year-olds and above, though. Dylan is a kid who lives with a curse. By day, he is best mates with Justice Jones and struggles with being the new kid from out of town, but on the weekends, he transforms into Deadly D – a national rugby league superstar. Top marks for outrageous originality and combining diverse topics with strong messages of friendship and perseverance. Great reads for those who need a little more inspiration to pick up a book. 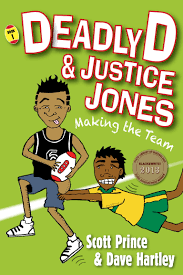 I absolutely loved this series (a couple of years old now but still relevant for kids who love footy). Josh loves rugby and is all right at it but he’s often accused of losing the game thanks to his clumsiness. Queue Billy Slater, who not only gives Josh the help he needs to improve his game but also skills him in regaining his confidence. Billy’s forewords and play tips are enough to make me want to pick up the ball – well almost. Truly inspiring from a holistic well-being point of view and heaps of fun thanks to Loughlin’s expressive prose and short pithy chapters. Well worth adding to your stockings this year. 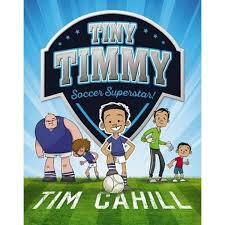 Socceroos legend, Tim Cahill has penned a handful of hugely funny, engaging stories following Tiny Timmy’s dream of making it into the school soccer team. Generously illustrated with cartoon-styled drawings and text that bounces and bumps enthusiastically off the page ensures plenty of reader involvement. 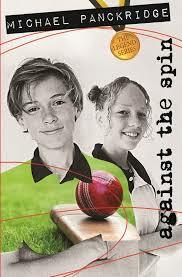 This is another sporty series that utilises sporting heroes to entice reticent readers to read about things they actually love. That scores a ten out of ten from me. Christmas wouldn’t be Christmas without a bit of backyard cricket. Aussie international cricket superstar, Mitchell Starc, does an above average job at delivering action-packed stories that sports fans and cricket maniacs will drool over. These books are jammed tight with cricketing terminology (I probably should study that), gameplay descriptions, super illustrations and loads of fun guaranteed to have youngsters glued to the pages then off into the backyard to bowl a few Yorkers! Love them, even if my understanding of them is a bit wanting. 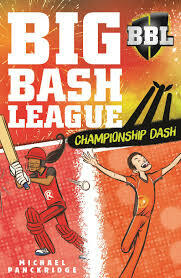 Panckridge’s cricket orientated BBL WWBL T20 themed series is as easy to read as spending a summer’s day at the cricket. Exciting, action driven, and gripping, these stories centre on true grit, determination and the thrill of competition sport. Perfect summer reading. 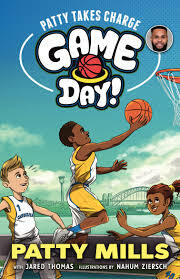 Older primary-aged readers who can’t get enough of sport will soak up this awesome series centring around new kid on the block, Mitchell Grady. 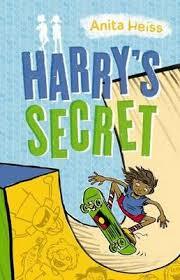 Mitchell finally lands in a school that is as sports crazy as he is and signs up to the Legend of Sports competition. Surfing, cricket, football, and tennis are just some of the sporty storylines that unfold for Mitchell as he competes his way through the school year and a host of dilemmas involving bullies and questions of good sportsmanship. Titles in this gripping series work as standalone stories although, are just as fun enjoyed from start to finish. An ideal gift set to give. This is another series aimed at sports obsessed youngsters who might not ordinarily consider a book as a major means of enjoyment. The draw card this time is Australian Olympian and NBA star, Patty Mills. This series focuses on Patty’s experience playing basketball as a kid growing up in Australia. 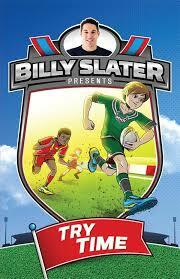 Kids will love reading about these sporting success stories from a kid’s point of view. Who would have thought shooting hoops could be so exhilarating! Easy to read and like. 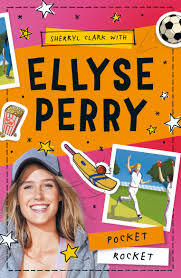 While sports fanatical girls will love all the above, this series is deliberately more girl-orientated in that it gets up close and personal with pre-pubescent, 12-year-old Ellyse Perry (of Aussie Cricket and Football fame). Ellyse is just about to enter high school. Life is beset with changes and new challenges. Fortunately, Ellyse has sport. It’s all she wants to do, any sport, you name it! But how does she manage to juggle her new social dilemmas with the demands of school and still find time to play? Engaging reads for enthusiastic players. Stay tuned for List # 3 or visit our Christmas List 2017 for Children’s books.